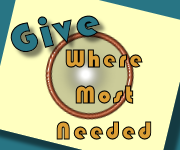 When you come into covenant relationship with a minister of the Gospel in a developing nation through sponsorship you enable this servant of Jesus Christ to continue in their call. Your consistent loving commitment to these pastors, brings with it encouragement and hope, not only to them personally, but also to their families, and congregations. For only 34 dollars a month you have the ability to change a pastor’s life, along with the lives of the countless number they will reach for the Lord and His kingdom purpose. To support a pastor fully through our Adopt-A-Pastor Program it takes from $100 to $200 dollars a month for the necessities of life depending on their situation and the culture involved. You will be able to communicate with your pastor through our RSMI online member’s area, as well as receive regular monthly updates from them about themselves, their families, and the work that God has called them to do. With a monthly donation of only $34 dollars you can help support a pastor, strengthening them to continue their call in the Lord. 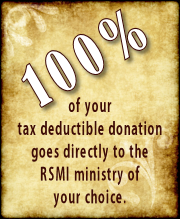 And remember that 100% of your donation will be sent to the field to support your pastor.